Imagine if just one extra dollar of income resulted in the loss of almost $10,000 in tax credits. That’s a real possibility for some individuals who buy coverage through the Health Insurance Marketplace (aka the “exchange”) created by the Affordable Care Act. Although this tax credit, and the loss of it, can affect anyone buying insurance through the exchange, older retirees who do not yet receive Medicare have the most to lose. That’s because their age makes them eligible for a significant credit. But with the help of a qualified financial planner or CPA, you may be able to avoid the cliff and keep your tax credit. The first thing to do is determine whether the premium tax credit applies to you at all based on the eligibility requirements and your expected income. 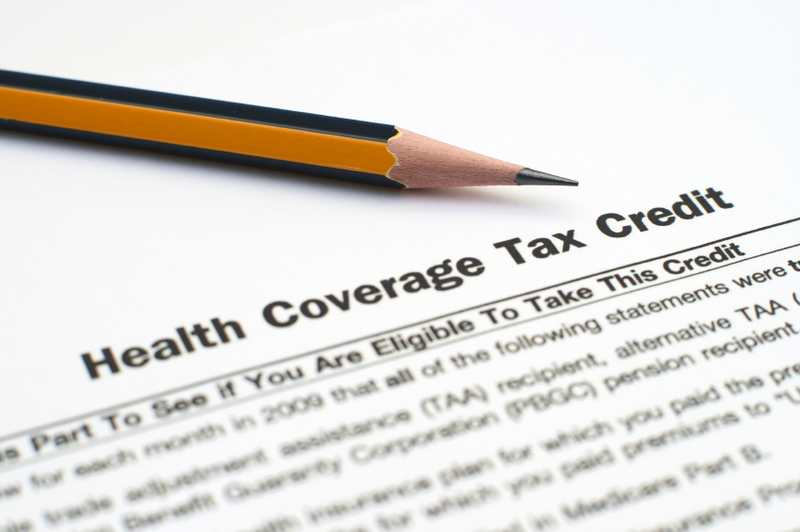 If you meet the requirements and buy coverage through the exchange, you can receive a tax credit if your adjusted gross income (AGI) is between 100% and 400% of the federal poverty level for your family size. Once your income passes that 400% figure, though, you lose the credit. Assuming you qualify, the size of your tax credit depends on your age and the number of people in your family. The younger you are, the smaller the credit; the larger your family, the bigger the credit. You can choose to have your estimated tax credit paid directly to your insurance provider, effectively lowering your premiums, or you can claim a credit when you file your tax return. There are online tools to calculate your estimated credit, but it may be best to work with an expert to run the numbers. Not only is it difficult to figure out the size of your credit, but the consequence of getting it wrong can be substantial. For example, this year, a 63-year-old married couple with a projected AGI of $62,000 would be eligible for a premium tax credit of $9,372. Instead of paying $15,300 in health insurance premiums for a plan purchased through the exchange, this couple would pay only $5,928 with the subsidy. If the same couple had an additional $1,000 of income ($63,000 instead of $62,000), their premium tax credit would be reduced to $0. This is the tax cliff, and it demonstrates why it can be so important to work with a qualified professional. An advisor may be able to help you optimize your tax and income situation with more sophisticated planning strategies. For example, it may make sense to reduce your taxable IRA withdrawals in a particular year and instead lean temporarily on a home equity line of credit for cash. Or it could be better to sell a mutual fund before a large capital gains distribution to reduce your income. Many retirees in their early 60s benefit from tax planning opportunities — such as Roth IRA conversions or a 0% capital gains tax rate made possible by their lower incomes once they stop working. They may not be so lucky when it comes to the premium tax credit. Effective tax planning can keep you away from the edge of the cliff — and the loss of thousands of dollars in credits.